FABER, VA – A mariner’s life at sea isn’t for everyone. For one thing the same sky that can exude such waves of warmth is suddenly as wicked as a Wizard of Oz cyclone. Then again, there’s a saying about “a smooth sea never makes a skilled sailor”, or “a ship in the harbor is safe, but that’s not what it’s designed for.” On his epic voyage the hero Odysseus was known to have taken a risk as he sailed-off from the solid soil of the material world, where he had grown accustom to every survival trick in the book, back to his homeland. In a way the story is a metaphor about daring to lead a spiritually-integrated life. It’s about getting in-sync with one’s internal compass and weathering any of those deviations constantly disrupting or testing the true course of being. In his 5th and most magnetic book to date, Master Charles Cannon, charts the necessary coordinates for remaining buoyant through all kinds of bouncy, rough weather between “Scylla and Charybdis”. His book, “Awakening from the American Dream” is instrumental to those travelers interested in holding their compass housing on due course toward a celestial pole. As seasoned as a commander in the Royal Admiralty, he accommodates his readers, empowering them with knowledge and pointers in the face of the proverbial “devil and the deep blue sea”. Having authored a series of spirituality-related books over a span of four decades, Master Charles Cannon greatly respects the principle science and technology of safely traversing the summit-to-sea terrains. Piloting carefully, reaching destinations near and far, both terrestrial and intangible, his experience well serves any journeyman or apprentice, anyone about to navigate the hot and cold waters of stormy existence. For those of an adventurous, if not scientific, nature “NOW…The Technology” satisfies the technical needs required to make a journey through any passing hazards and territory. Where other techniques fall short, or seem easy to shrug or ill-advise, “NOW…The Technology” lets users take the helm in steering clear across the sea-of-life to immediate calm – to the ”NOW”. “NOW” is part personal, and part practical science. 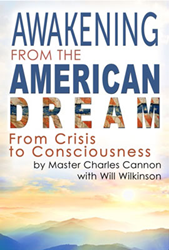 Master Charles Cannon, like any spiritual teacher, exercises a personal vocation of significant service to others in the development of well-being. He also ventures to project methods that are relevant to this material world – to get out of that “rock and a hard place”. Start with any stereophonic sound-speaker system, portable i-Pod, MP3, or with headphones. Then push Play on-low. Alpha, theta, delta and subtle gamma frequencies bio-geometrically, and holo-dynamically perform the “synchronicity”. This audio-sonic, entrainment technology, a balancing tool, brings first-hand, acoustic quality benefits to its users, such as restoring personal balance. In plain English, these good vibrations entrain, or balance those disturbances to brainwaves, which attempt to spirit away everyone’s otherwise preferred state of equilibrium. His hi-tech meditation technology is for maintaining proper balance. Personal balance is restored quickly and clearly, and the moment is mastered as a matter of fact. To cite an excerpt from Alexandre Dumas, “taught…to read in that vast book opened over head called heaven…”, navigating life’s dreams, changes, and journey is a pursuit as extraordinary as navigating by the stars. Although it entails an encompassing hardiness and self belief, it does not require tremendous effort. On Synchronicity’s website there are first person portrayals from those who, being aware of the trials tugging their emotions, have adapted gracefully and now simply share their proof with others - a good point of departure. Why not see, how exceptionally calm the sea-of-life can be? 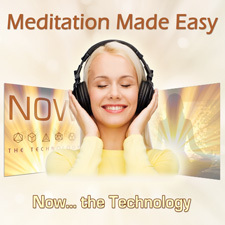 Pioneer of the High-Tech Meditation Method "Modern Meditation for a Modern World"